Salad Days . . .
. . . of June. Pond shallows, turtle banks, all is lush. The largemouths chase small fry. Feathered bright as the white sky. Herons all angle up modest luck. 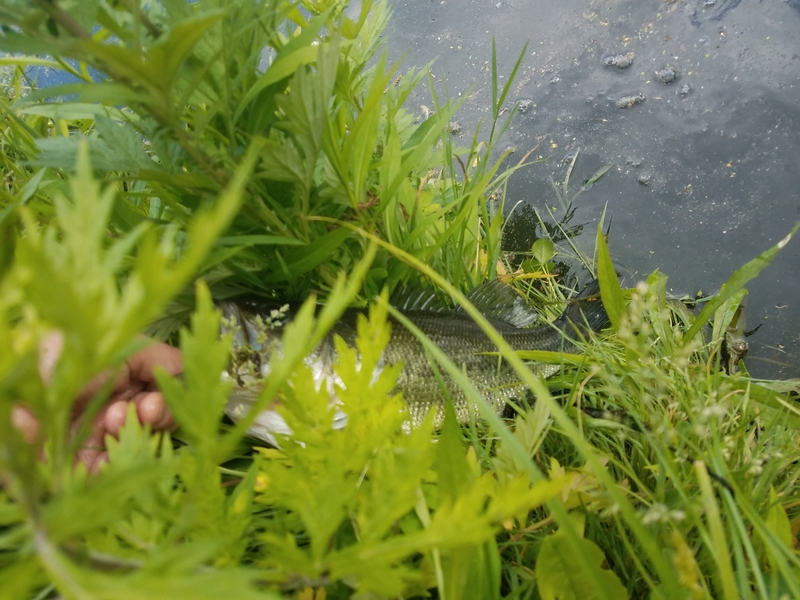 (3) – a three-pound athletic bass was wrestled to the shaded green bank, the two of us tethered by 6X (4 lb.) monofilament tippet of a kind ideal for tenkara. Two runs had just bent the TUSA Yamaha rod into a bridge arch over turmoiled topwater. There had been a witness, Jesse Valentin, who earlier, with, together we watched the tall white bird spear pinch a brace of bluegill.